Case Makers, created by fans, that will allow you to make your own PW style court cases. 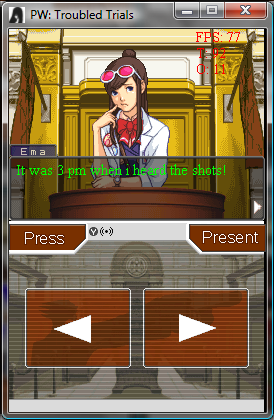 PWLib, developed by KSA Technology, uses AIGE to allow you to create own Phoenix Wright cases. You can enter your own custom characters, cross examine, present evidence, even hunt around your own crafted crime scenes! Because PWLib is a more advanced case maker, it is a bit more complex to work with, but with at least one fan case already made and more on the way, CR is very excited to see it grow. Development was originally in Multimedia Fusion 2 however it is now being developed in PWLib. Phoenix Wright will be the defense attorney, and there will be three original prosecutors, as well as two from the original games making appearances as prosecutors. Status: A demo consisting of a single case has been released. 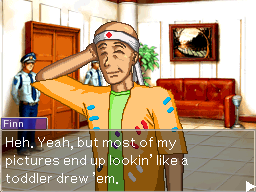 In his many years of being a defense attorney, Phoenix Wright has left many legacies behind. Of his many cases, only a select few are remembered by the masses, while the others disintegrate into the past. After losing his Attorney's Badge, Phoenix Wright decides to relive his cases once again, to be a part of his past, just once more. In order to restore his lost memories, Phoenix reactivates the Mason System. However, when an outside source causes a system malfunction, Phoenix is thrust into the past, and while losing some of his faithful memories, he must once again prove a handful of his clients innocent...or be stuck in the past forever. PyWright is a case scripting system developed by saluk. It's general goals are - easy to use, cross-platform, many features, close but not exact emulation of regular games with support for moving beyond them in the future, and in general a system that is not too painful or too constricting to use. For features please view its entry in Gyakuten Wiki. 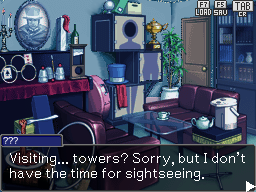 Turnabout Substitution is an Apollo Justice fancase created by Ping' and developed for PyWright. 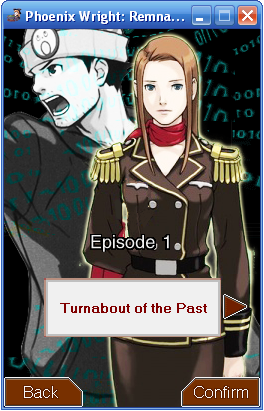 The game is set shortly after Turnabout Succession and intends to be Apollo Justice's "Rise from the Ashes." When the city's most famous judge gets arrested on suspicion of murdering an infamous serial killer, he has no one to turn to but rookie attorney Apollo Justice. But is he up to the task? Can he find the truth on his own? And, above all, can he face it? Prepare for a mind-bogglingly intricate plot filled with suspense and unsuspected twists! Set between Ace Attorney: Justice for All and Trails and Tribulations. 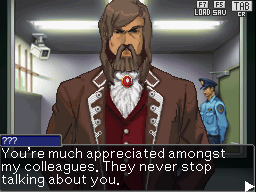 In Phoenix Wright Ace Attorney ‘Trials after Justice’ Phoenix and Maya continue to help those in need by defending them. Along the way, they come across a new prosecutor named Luis Hawk, who seems to have it in for Phoenix. (Don’t they all?) During these trials, Phoenix learns about his new rival. Is he a friend or foe to justice? The game will be released episodically, in Chapters. You can look forward to some great cases, funny moments, and exciting stories! So stay tuned! 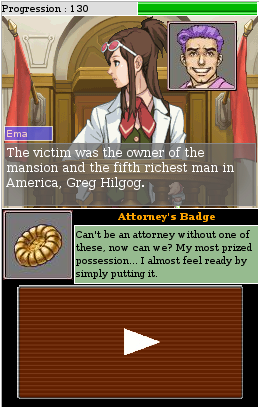 Ace Attorney Online is a web-based case maker that enables you to create, play and share cases from anywhere, just by opening the site in your web browser. 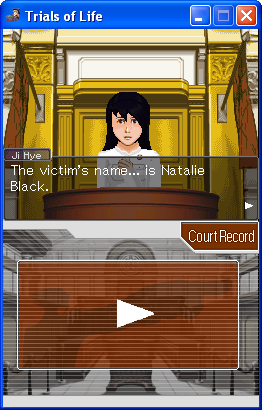 Most features from the original games (including cross-examinations, investigations, etc.) are available and made as easy to use as possible through an intuitive interface. The dedicated forum and its community are the best way to share your trials and get opinions, advice, and help! If you have any submissions, email them to Croik at courtrecord @ gmail dot com. If you have questions about the case makers, please direct them to the creators.